Columbia Named the 4th Best Small City for Seniors! USA Today reported in an article today that Columbia has been named the 4th best small city (out of 259) for senior living! Excellent access to health care, a vibrant culture, and a strong local economy all contributed to Columbia’s high ranking. In fact, Columbia’s health care was ranked 3rd in the U.S. The rankings were compiled by the Milken Institute. Click here for a detailed report. The American Heart Association refers to it as “the movie heart attack”: an overweight man starts panting, grabs his chest and then collapses. In this situation, it is clear a heart attack has occurred. Most heart attacks do not follow the script. The majority of heart attacks begin gradually with mild pain and discomfort. This can make it much less obvious that a heart attack is happening. For this reason, many people wait several hours before seeking treatment. This could be a fatal mistake. •	Chest discomfort. Most heart attacks involve discomfort in the center of the chest that lasts more than a few minutes, or that goes away and comes back. It can feel like uncomfortable pressure, squeezing, fullness or pain. •	Discomfort in other areas of the upper body. Symptoms can include pain or discomfort in one or both arms, the back, neck, jaw or stomach. •	Shortness of breath with or without chest discomfort. •	Other signs may include breaking out in a cold sweat, nausea or lightheadedness. Although the most common sign of a heart attack is chest pain, many heart attacks involve no chest pain at all. In fact, according to an article from the National Heart Lung and Blood Institute, one study found that one-third of patients who had heart attacks had no chest pain. The biggest lesson, then, is this—if you think you might be experiencing a heart attack, don’t wait. Call 911 for help immediately. For more information regarding heart attacks, including risk factors and prevention, see the Heart Attack section at the American Heart Association website. 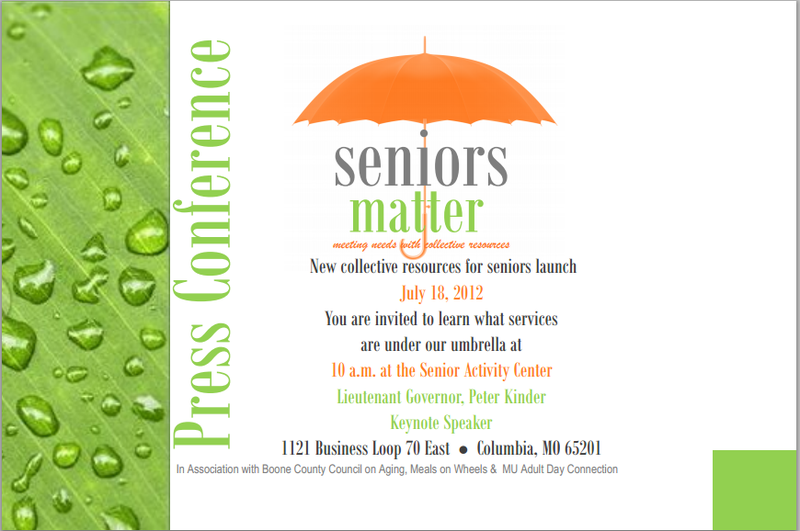 Seniors Matter Is Launching Next Wednesday! Seniors Matter is a new charitable fund that will support local agencies that provide services for seniors. These services include providing seniors with meals, independent living services, adult day services and caregiver support. The fund was started in response to a combination of funding cuts and a growing senior population that needs assistance. The Community Foundation of Central Missouri will administer the Seniors Matter fund which will officially launch on Wednesday, July 18, 2012 at the Columbia Area Senior Center. In January, the Heart of Missouri United Way announced a major shift in their operations to the “Community Impact” model. The new model focuses on supporting agencies that work with impoverished children and families. Seniors Matter, established in association with the Boone County Council on Aging, Meals on Wheels, and MU Adult Day Connection, is meant to close the funding gap created by the new model. Join us to help John Baker from the Community Foundation of Central Missouri, Lt. Governor Peter Kinder, the Boone County Council on Aging, Meals on Wheels, and the Adult Day Connection, at the official kickoff on Wednesday July 18th at 10:00 am at the Senior Center in Columbia, 1121 Business Loop 70 East, Columbia, MO 65201. 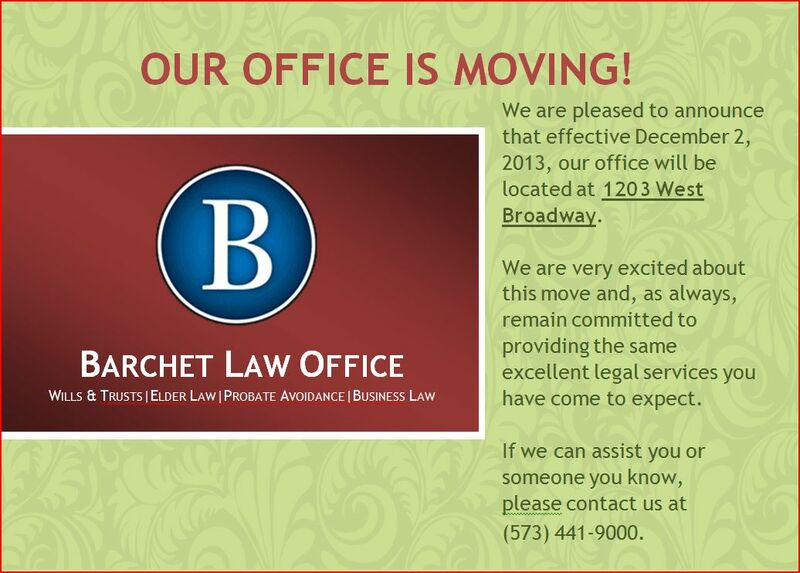 Click here for a flyer that you can use as a reminder and to help spread the word! Happy Fourth of July! Please be safe, it’s hot outside. The summer months are a great time to enjoy the outdoors. However, they also can mean days of sweltering heat. Today is a testament to that. Today the thermometer reads nearly 100 degrees (again). While everyone should take care to protect themselves from the heat, seniors should take extra precaution. According to the Centers for Disease Control and Prevention (CDC), older adults and those with chronic medical conditions are more susceptible to heat exhaustion and heat stroke. According to the CDC, the following are signs of heat exhaustion: muscle cramps, fatigue, headache, nausea or vomiting, pulse rate that is fast and weak, and rapid and shallow breathing. Left untreated, heat exhaustion can lead to heat stroke, which is a life-threatening illness. Signs of heat stroke include a high body temperature, red, hot, and dry skin (no sweating), rapid, strong pulse, throbbing headache, dizziness, nausea, confusion, and unconsciousness. Older adults can prevent these heat-related illnesses by drinking plenty of water, avoiding consuming alcoholic beverages, and staying in the air conditioning. Family members, friends, and care-givers should check in with seniors regularly to check for signs of heat-related illnesses. Each summer, KOMU TV8 partners with the Voluntary Action Center and the United Way of Mid Missouri to distribute fans to help people beat the heat. For information about donating a fan to this program, visit KOMU’s Fan Club website.